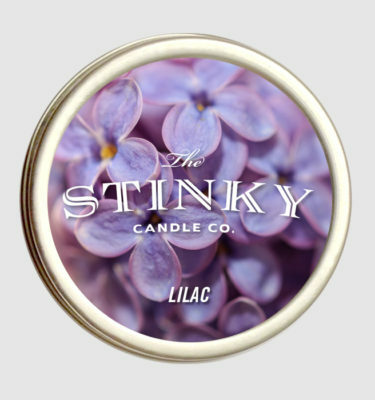 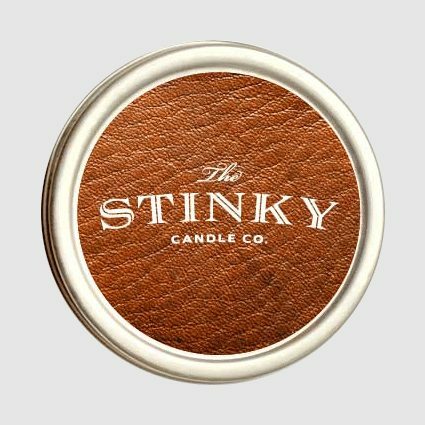 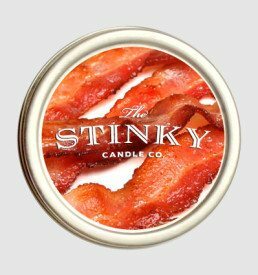 Leather Candle (4 oz) - Stinky Candle Co. 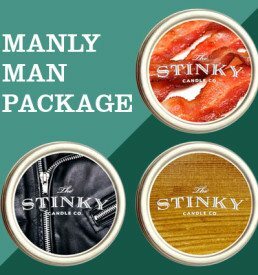 The smell of leather products seems to produce powerful memories – a new baseball mitt, your favorite wallet, a comfy coach, your mom’s purse, the work briefcase, a new bomber jacket, grandpas old horse saddle, a new pair of crotch-less leather chaps (well maybe not that last one so much). 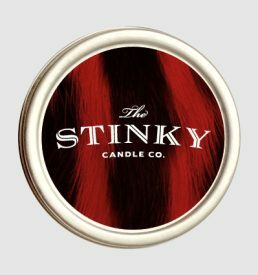 Smells like a cowboy boot store.